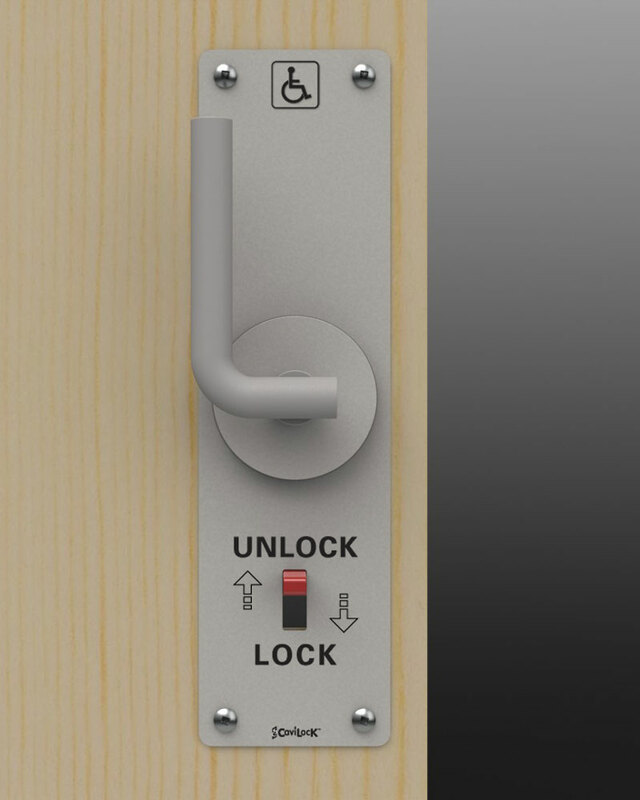 Code compliant commercial-grade disabled toilet access lock for sliding toilet doors. 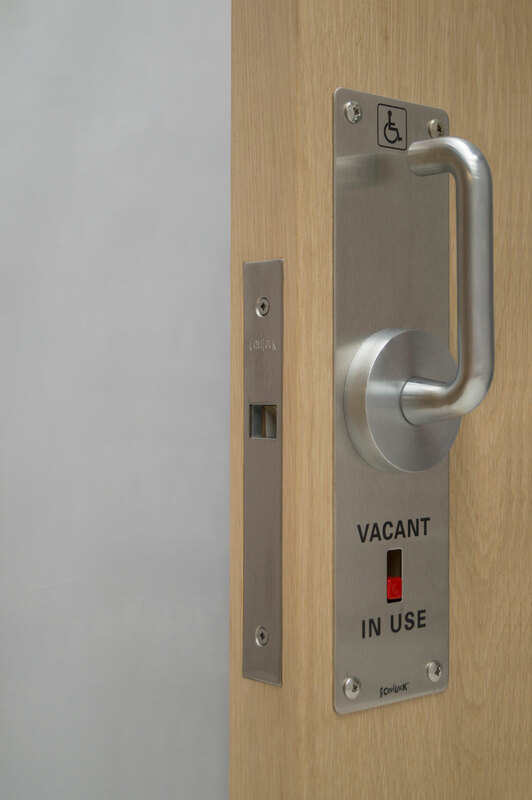 "VACANT' and 'IN USE' indication is etched into the side plates. 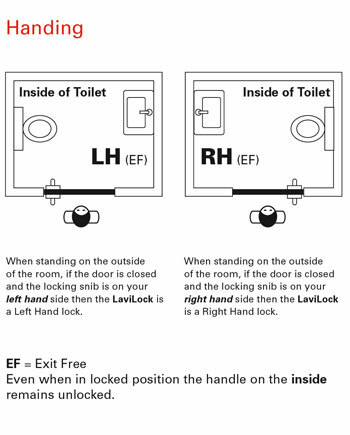 These locks are handed, meaning that setting up exit free is as simple as ordering the correct hand lockset. 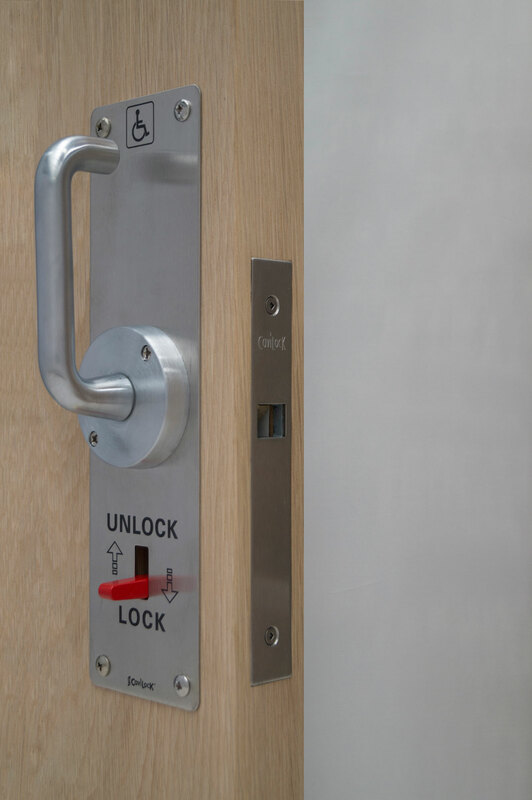 Important: Contact CS customer service staff for further information regarding product compliance with Australian standards relating to disabled access.